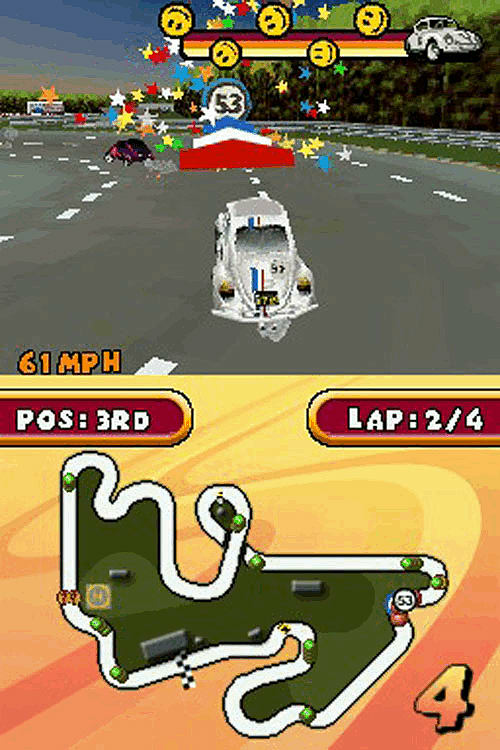 The next videogame release in the popular Herbie franchise, DISNEY’S HERBIE: RESCUE RALLY DS provides extreme race courses filled with ramps, jumps, hills and tunnels for the player to speed through. 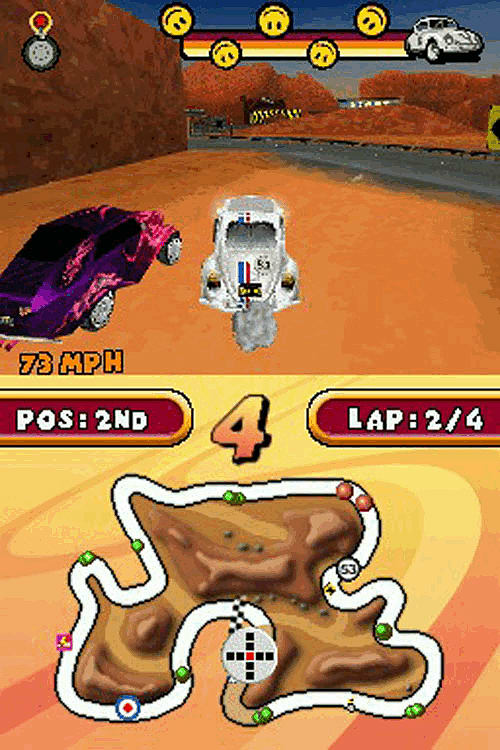 The game’s twisting and turning arcade-style racing is put into overdrive with exciting elements such as short-cuts, pick-ups and wacky Herbie special moves. Herbie’s accelerating endeavours take place both on the track and off-road demanding players draw on all their driving skills to become a champion. Herbie comes to the rescue of teenager Louise Noble, whose family’s beloved animal sanctuary is in danger of being taken and turned into a toxic chemical factory by the dastardly Edward Vile and his E. Vile Corporation. Louise’s only hope is to win the Cross States Rally and use the $1 million prize money to save the sanctuary. Louise uses what little savings she has and purchases a dusty VW Bug left forgotten in the corner of a car dealer. Luckily, that Bug is Herbie! As Louise enters the race, she notices a Bug similar to Herbie – but jet black with red racing stripes and vicious bull-bars for ramming competitors off the road. Herman, Herbie’s evil racing opponent, is actually owned by E Vile Corporation and tasked with preventing Louise from claiming the prize money to save the sanctuary. 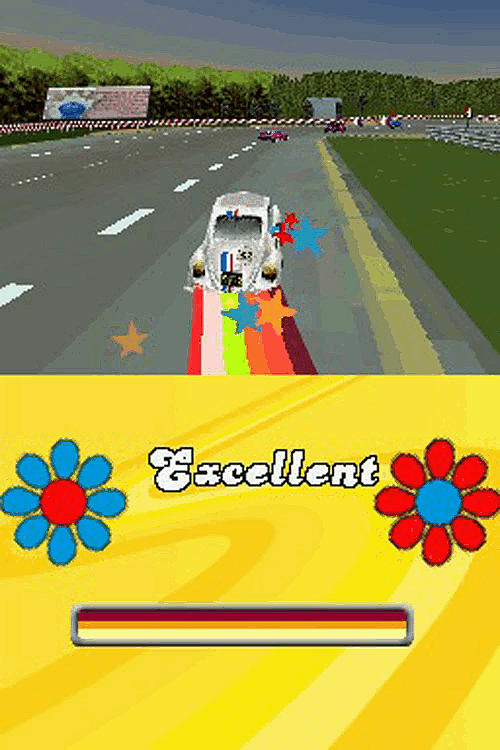 The game follows the adventures of Louise and Herbie as they attempt to win every event in the Grand Race while battling against Herman and his shadowy driver.